Vodou is actually nothing like its popular image of something that is dark, dangerous and sinister. This image has been fed largely by Hollywood, and by the church, which was funding the slave trade and needed an excuse. In reality Vodou is both a religion, with a strict moral code that keeps tribes in harmony, and a system of practical magick, that provides for all the people’s needs. It honours the spirits of the land, and one’s ancestors, to keep us in harmony with all the worlds that surround us. It has a number of deities known as the Vodou Lwa. Its roots go back to the dawn of civilisation. It was developed through several African traditions, which combined with European influences during the slave trade era, in order to preserve their traditions. Vodou preserves the fundamental spiritual and magickal practices that enabled man’s survival. Intervention of the Spirit world has enabled man to overcome many problems. Although the religion is now based in Haiti, it adapts to any land and culture. The methodology can be used to interact with the Gods and Spirits of any land. New Orleans in the US is another area where Vodou is practiced -here it is known as Voodoo. Although many spirits are honoured, the Vodou religion basically believes in one God, which we call Bondye. Then there are the other deities, called the Lwa, which order the universe. One does not worship the Vodou Lwa, only God is worthy of worship, but one develops a two way relationship with the Lwa; you feed them, and they grant you favours in return. The fundamental tools are drums, and a rattle known as an asson. Sound, dance, rhythm and colour all help to attune us to particular frequencies. Each Vodou Lwa is best described as an energy, which we may need to change the overall resonance that makes up our lives. A particular drum beat, dance and song will bring the energy into us. During dance, you feel overshadowed by this power, and can petition it to change a particular aspect of your life. According to what area of your life you need to change, you choose the appropriate Lwa, and then work with its unique rhythm, song, dance and a pattern drawn on the ground in cornmeal, called a vever. There are particular food offerings and colours which help bring the favour of the Lwa. In the longer ceremonies, possession may occur which is very positive as it allows the people present to speak with the Lwa who can answer questions and perform healing. There are many Lwa. I shall describe just a few which cover the main needs a person may be seeking help with. They are generally divided into Rada and Petro: Rada brings the good, heavenly Lwa, and Petro the more earthy and aggressive. Then there are also the Ghede Lwa, which deal with death and ancestral issues. The ‘chiefs’ of the Rada Lwa are the good serpents; Dambullah the white serpent, and Ayida Wedo, the rainbow serpent. These help with spiritual growth, dreams and visions. You would work with these Lwa if you are attempting to develop your psychic gifts. The first Lwa we call is Legaba, as he will open the door to other Lwa. He is the door keeper, so you can call on him to open or close doors. For instance, if you are having a run of bad luck, you could ask him to close the door on that. Or it could be an old relationship, or something coming back to haunt you. Or you could ask him to open the door to opportunity, to more money, a new career or relationship. It is good to call him when starting any new venture. If you are having problems with enemies, bullying or need more strength, Ogoun is the one to call. You can send him out to defeat or control enemies, or you can invoke him to give you strength, courage and fortitude. Ogoun is a warrior, leader, politician; all manifestations of strong masculine energy. Ogoun’s wife is Erzulie Freda, the Lwa of romantic love. She is the one to call when you want romance. However, she is not the best one to call if you want a permanent relationship, as she would have you fall in love again and again. For more stable love, invoke La Siren, the Lwa of the sea. She heals all emotions, and brings abundance. She can heal and strengthen relationships, heal emotional wounds, bring harmony to families, strengthen love, wash away all kinds of negativity, as well as bless you with abundance. She is a very positive Lwa to work with. Another very positive Lwa to call is Gran Bwa, the Lwa of the forest. He is a great healer, as he governs all herbs and also holds magical secrets, and can bring wealth. The forest is seen as a source of great abundance, so you can invoke Gran Bwa to bring you wealth, as well as to bless your herbs to increase their healing power. Before deciding which Lwa to petition for help, one should do some kind of divination to find out which Lwa are close to you, as they are not equally helpful to each person. To each person there is one Lwa that suits you most closely, the Lwa met-tet, or ruler of the head. During initiation, your met-tet Lwa is called into you so that its magickal ability is bestowed upon you, and then it will always be close to you, ready to help you. Beyond your Lwa met-tet, there are a few other Lwa that work with you most readily, and it is good to get to know these. You will find Vodou to be a positive practice that brings nothing but benefit to your life. 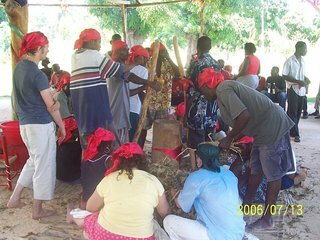 Anyone wanting to study Vodou further and be initiated with the Vodou Lwa may contact me here – I am the UK representative for the Haitian based Roots Without End Society. My next Vodou Initiation workshop is 24-25 September, 2016 in Buckfast, Devon, UK. Please contact me for further details and to book. Peter Aziz is a legitimately initiated Houngan of Haitian Vodou, who has made several trips to Haiti following his initiation there, to continue his studies. He is sincere, authentic, moral, positive, trustworthy… I am very happy to say that he is my initiatory son in the Roots Without End Society! Hi Mama, Thanks for your kind comments. 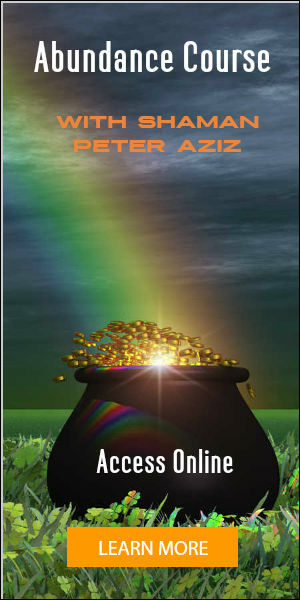 I am intrigued by the rainbow serpent. For many years I have seen a brilliant chain of crystal triangles, since I started to train with the spiritualist church. I have corresponded with another person who is in the US who also sees them. I see them when I have done something nice for someone, when I play gentle music and sometimes after yoga. They are bright, shimmering and dont hurt my eyes. Lately, i have been hearing drums and wanting to chant which are both so far not a part of what i do. Do we come to vodou when we are called, I wonder? yes, we are definitely called by the Lwa, and once you respond, all kindsof wonders open up. 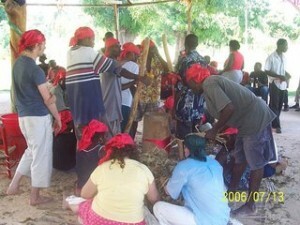 I have done Peter’s Vodou course several times and never tire of it . It is wonderful to talk to the Lwa . I can recommend it . Hi Barbara, Thanks for your comments. I’m glad you liked it. I did this course in 2006 before heading off to America, once in the US I was instantly recognized as a valid necromancer by a High Priestess running several authentic magical groups. 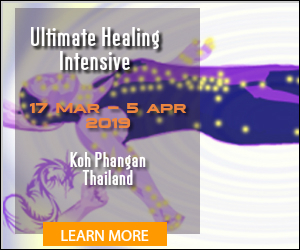 This course is an excellent intro into some of the more archaic practices of traditional shamanism and ancestral worship. I highly recommend this and other courses run by Peter. Thanks Glenn.By the way, I still run small groups on more advanced vodou rituals at my home from time to time, usually covering one lwa at a time, and making packets, pwen and wanga bottles. I have one coming up covering Ogoun and LaSiren.